please post your contact and examples of your work here. or you can PM me on this board. 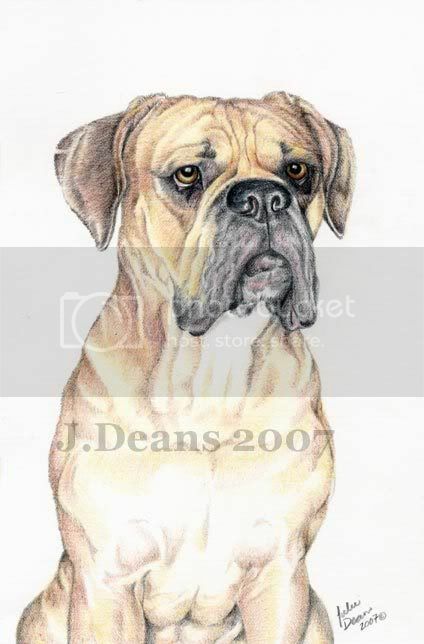 I offer graphite, coloured pencil, marker and acrylic (as well as other paints upon request) pet portraits. Price list, particulars and other information is on my website. Feel free to contact anytime! Hi Everyone. 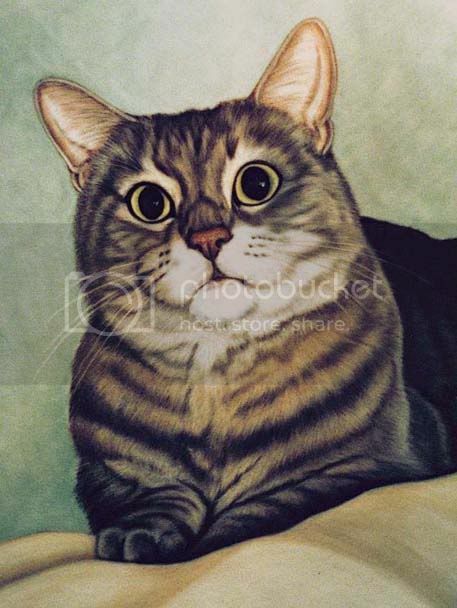 I'm another pet portrait artist named Julie (no relation to the previous poster). 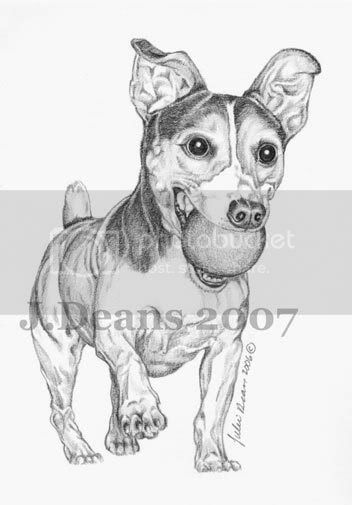 I call my art business JulieArtworks and, hands down, my favorite portraits to do are pet portraits. 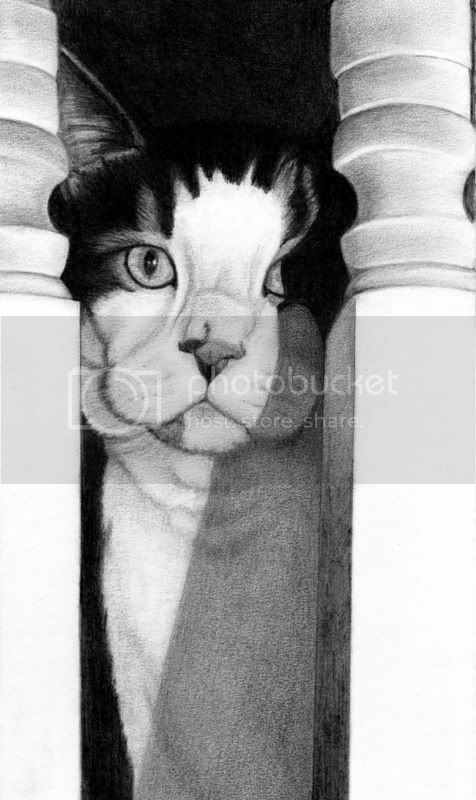 Here's the direct link to my pet portraits web page, where you can see many different examples of pet portraits I've done. Please stop by and have a look around! I work from photos, so you can send your favorite pet photo to me by email or regular mail, and I'll turn it into a fine art, one-of-a-kind, custom portrait for you. My prices start as low as $89.99 and include the acid-free matting -- a value of $50 or more, free with your order! 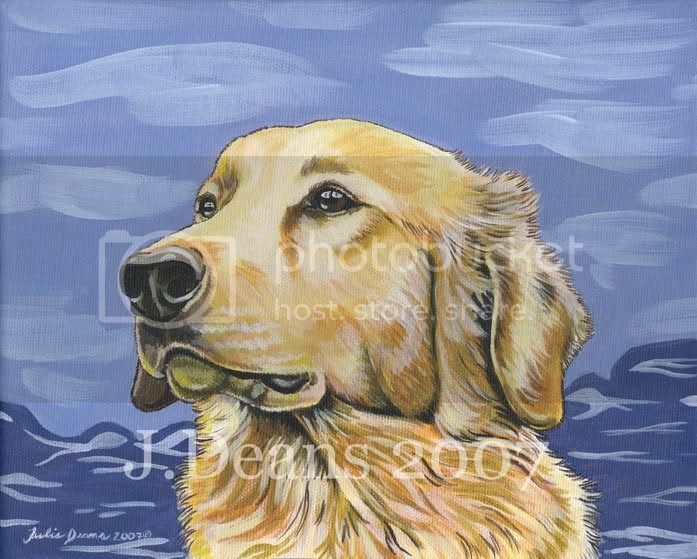 I also do pet portrait notecards, which are great for holiday cards, gifts to pet lovers, for personal use, etc. I'm Joanne (all J's here so far, lol!) and I enjoy drawing portraits of people's furkids (dogs, cats, horses). I work primarily in pastels and graphite. You can PM me here. My name is Katja and I’m a Pet Portrait and Wildlife Artist. My portraits are traditionally painted and drawn in mediums: Oils, Pencils, Coloured Pencils and Watercolours. I’m based in Sweden, but take commissions internationally. I offer Free Shipping Worldwide! Welcome to see my online Gallery for more examples of my work or why not take a look at my Work in Progress pages and see what I’m painting today! Here are a few samples of my recent work, I just got started in November but got wonderful feedback from customers ordering for themselves and for others during the holiday season. My prices start at just $74.95 and I am offering framing as well. Please checkout http://www.MilosPetPaintings.com/pages/gallery for more images. i just wanna say all of this work is AMAZING!! i especially love the portrait of the spaniel with the tug toy by julieartworks, his eyes looks so alive and the effect is class! The drawings of the 2 labradors are so realistic! Kudos to all of your talents! Hi there, well i dont draw or paint but i do my portraits graphically, vector format mostly. I'm not nearly as good as some people here but I charge dirt cheap. Everyone is so good! My favorite so far is Katja's painting of her son and dog. That was amazing! My Dog Breed Posters with FREE Personalization! Hi all, it's been a while since I posted. Here is a link to my store where you can purchase 56 dog breeds all in cowboy Hats and Bandannas! FREE Personalization too! I live in Arizona and love the Western lifestyle as it reflects in my paintings. So for anyone interested in a cute poster for the Holiday feel secure by using PayPal. 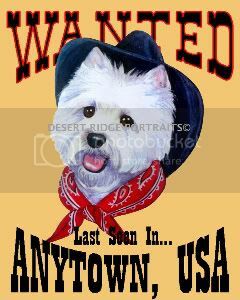 Pay tribute to your rascally pooch with these colorful Wanted Posters created by Arizona artist Suzanne Powers. She will personalize them for free with your dog's name, "Last Seen In/At..." city/state or any location. You can also be creative. Examples: Last Seen... Giving Sloppy Kisses! The posters are mounted on an 11x 14 mounting board and protected with a clear plastic sleeve. Very quick turn-around for the Holidays! Email me if you have any questions. CLICK LINK BELOW FOR MY STORE W/EASY PAYPAL CHECKOUT! 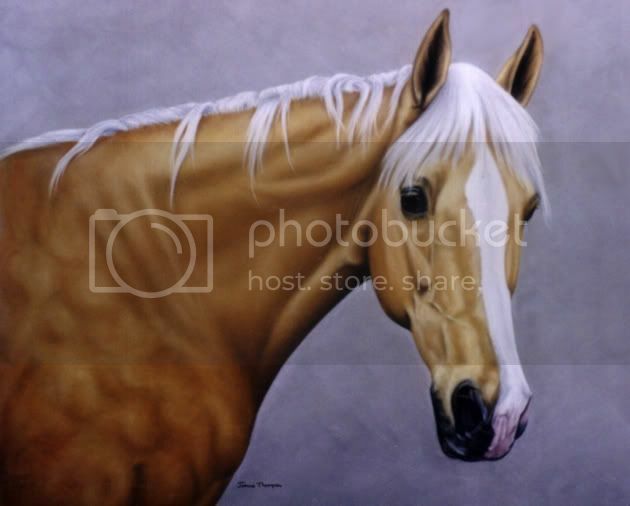 Pet Portraits in Acrylic, Oil, or Pastel. Any size. Prices vary. aw I saw your artwork on the internet, and I really really love your works Katja!!!!! congratulation!!!!! Dog Art with a Whimsical Twist of Lime and a Dash of Cinnamon... I ended up having to close the eBay one, though I do have a few listed on eBay right now. Before I post me too, I just want to say the works from the artist in this post are just beautiful!! !